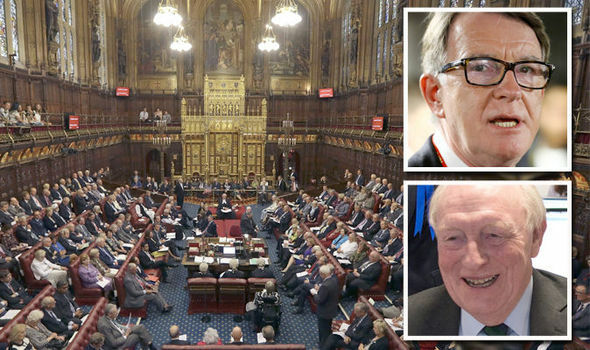 Guess why they really really want Brexit to flounder in the Lords. Yes, it’s their personal fortunes, as it always was. This post gave me the vapours. I must rest. How oleaginous these out-dated Bremainers still are! Kinnock personifies political misjudgement and Mandelson is about as socialist as the Emperor Nero. It feels like a time warp, doesn’t it? I can back James’ comment. I’ve been asked to apply to work for the EU only to be told not to bother because I had the wrong “mentality”. That is, I’m perfectly happy being a semi-civilised, Anglicised Hun and see no need to be a “good European”. Janus: I’ve been to many countries. The United Kingdom is among the best. Is it free of its failures, foibles, short-comings, disasters and nightmarish aspects? Certainly not. It’s a deeply flawed country populated by a people just as deeply flawed as any other. On balance, Britain does far better than most. Janus: You, of course, are not deeply flawed. That rather depends on your source!! Remember: one man’s flaw is another man’s whatsit. I’ll defer to Backside and blame Alex Salmond. In the days when we built 90% of the world’s ships, were leaders in nuclear technology, jet engines, textiles, chemicals ……… Yes we were great. Now ?? Not so much. We gave it all away, or rather the overeducated liberal numpties that rule us did. However if Janus and co want to keep their heads in the sand what do I care. Junus, I maybe uneducated by your standards but I’m not stupid. I love my country but I’m not blind to her faults. Just as well we live far apart otherwise I might be tempted to pop round for a cup of tea. We’ve only got your word for that. Previous Previous post: Good night!